Blog with news about the Portland Oregon high-rise condominium and loft market. Tuesday, January 15th, 2019 at 11:58am. Pearl District Portland is a historic neighborhood where art aficionados, galleries, and artists come together. It's in one of the oldest parts of the city, with most of the galleries concentrated in the southern portion of the neighborhood, bordered to the north by Northwest Glisan Street. Portland artists and art lovers looking for homes in the city will definitely want easy access to this roughly 28-square-block art heaven. The variety and range of work is what really makes the area special. However, Upfor is certainly one of the most important Pearl District galleries in terms of the art world at large. This avant-garde space was founded in 2013, and is featured in internationally renowned publications, such as Artforum. Wednesday, January 3rd, 2018 at 1:38pm. Exceptional 8th floor condo with floor-to-celiling windows & oversized covered terrace. This 1 bedroom, 1.5 bath unit has hardwood oak flooring & brand new top-of-the-line carpeting in bedroom. Beautiful light oak, quartz countertops, heated floor in master bath, open layout, huge deck, expansive views, & a deeded parking space! Building Amenities include 24/7 Concierge, & Fitness rm w/Sauna. Fantastic location in the Pearl and on the river! Tuesday, November 7th, 2017 at 3:52pm. Luxury one bedroom condo on the river at the Strand. This fourth floor unit has an open floor plan with floor to ceiling windows, and a private covered balcony with city and river views. Hardwood floors, gourmet kitchen, walk-in closet, laundry room, and lots of natural light in this beautiful condo along the riverfront. Walk to shops, restaurants, downtown, the streetcar, and more. Deeded parking included! Wednesday, July 19th, 2017 at 3:21pm. Downtown Condo on the 10th Floor with Coveted East-facing Views of City, River, and Mountains. Open Floorplan with 1 Bedroom, 1 Bath and Large Private Balcony. Streetcar Right Outside Your Door. Just a few Blocks to PSU, Farmer's Market, Riverfront, Downtown. HOA Amenities Include Swimming Pool, Hot Tub, Internet, Free On-site Laundry, & more. Deeded Parking Included. 255 SW Harrison Street 10g is listed courtesy of Stuart Stevens with Highrises Realty of Portland. Wednesday, March 22nd, 2017 at 1:15pm. Light filled east facing loft on the 4th floor of Old Town Lofts. An open floor plan with tons of light and city views from both the unit and the deck. Washer and dryer in unit, deeded storage and all appliances included. MAX and bus lines are one block away! Walkscore 97! Explore Downtown, the Pearl District, the Saturday Market, and the Willamette River. Monday, November 14th, 2016 at 2:03pm. This sixth floor loft in the Elizabeth faces east, with peek-a-boo views of Mt. St. Helens and downtown. This unit includes stainless steel appliances, hardwood floors, full-size washer & dryer, and in-unit storage. There are no neighbors to either side of this condo and so it is absolutely quiet, all the time! The Elizabeth is ideally situated in the Pearl District very close to restaurants, pubs, theaters, museums, art galleries. 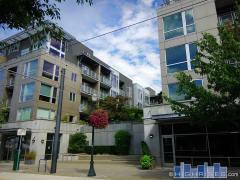 333 NW 9th Ave, Unit 610 is listed courtesy of Highrises Realty of Portland. Call (503) 473-0111 for more information and availability. Tuesday, October 25th, 2016 at 1:04pm. Amazing Corner Condo on 24th Floor of American Plaza Towers. Enjoy Breathtaking Views of Downtown, Mount Hood, West Hills, & The Willamette River! Three Bedrooms, Two Full bathrooms, Two Large Balconies, Two Gas Fireplaces, Nine Foot Ceilings, and Tons of Natural Light. HOA Amenities include: Indoor & Outdoor Pools, Sauna, Exercise Room, Meeting Room, Concierge, Free Guest Parking. Photos are of unit prior to current resident. Monday, August 29th, 2016 at 10:34am. Friday, August 19th, 2016 at 12:28pm. Top floor condo with private patio facing west towards Washington Park. True 1 bedroom with washer/dryer hookup in unit + onsite laundry facilities, storage unit, bike storage. Walk score of 94. Walk to Providence Park, MAC, Washington Park, Uptown, Downtown, NW 23rd, Pearl District, MAX, Bus, and more! Friday, July 8th, 2016 at 12:43pm. Coveted corner condo on 24th Floor of American Plaza Towers with Amazing Views of Downtown, Mount Hood, West Hills, & The Willamette River! One of the Rarer Units with 9 Foot Ceilings, Three Bedrooms, Two Full bathrooms, Two Large Balconies, Two Gas Fireplaces, and Tons of Natural Light. HOA Amenities include: Indoor & Outdoor Pools, Sauna, Exercise Room, Meeting Room, Concierge, Free Guest Parking. Photos are of unit prior to current resident.